There’s something so classic about a ruffled suit that I knew I had to add at least a few options into my swim collection. 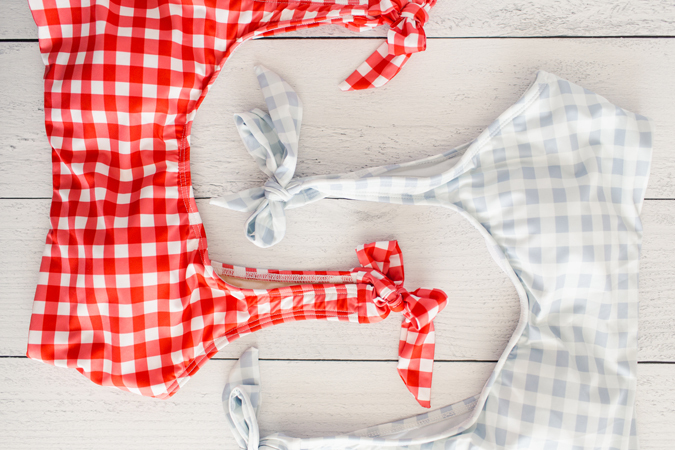 Whether you opt for a pretty ruffled neckline or add a little extra frill on a pair of high waisted bottoms, this timeless detail will make your summer preparations just a little bit sweeter. A cutout suit is both timeless and trendy, and with lots of variations, it’s pretty much universally flattering. Pick an area you want to highlight and look for style that suits you (pun intended). This high waisted cut-out style will flatter every body type, so if you’re new to this trend, start here. 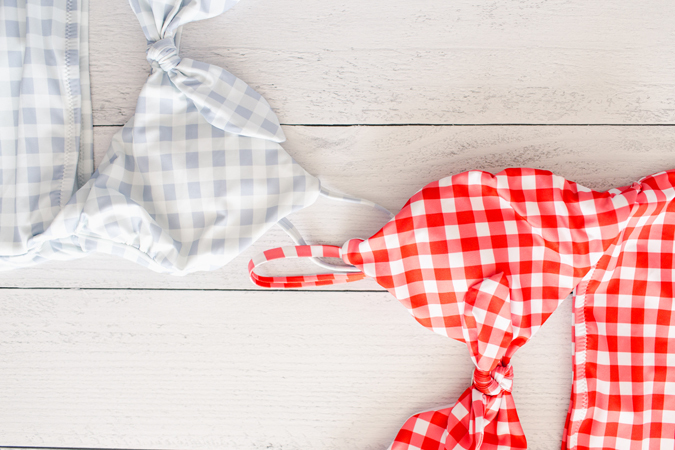 One of the best parts of a swimsuit with bow tie detailing is that you can adjust as needed to get the perfect fit, so no more worrying about straps slipping down or a rogue wave catching you off guard. I especially love shoulder straps with a bow for a little bit of subtle visual interest on a solid colored suit. This retro-chic style is back in a big way this season and I couldn’t be more excited. There’s something so glamorous about these suits while keeping things simple and sleek. You can choose to go for a matching belt and suit pattern, or mix things up with contrasting prints. Either way, these suits are going to be a major trend this summer. The last step in any summer swim look is a chic coverup, and what’s better than one that pairs perfectly with your suit? Try pairing a bold red suit with this coverup, featuring a tiny cherry print, or balance a soft blush coverup with bow-tied suit underneath. 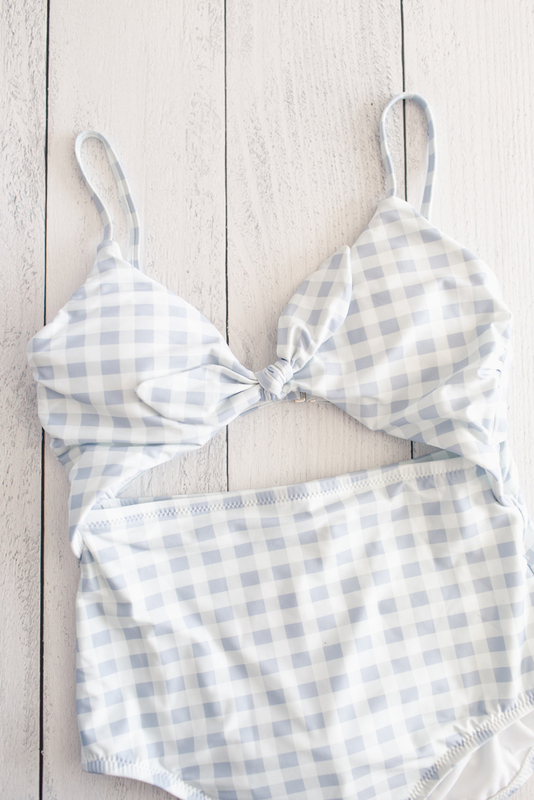 Don’t forget to properly wash and maintain your suit to keep it in tiptop condition all summer long. 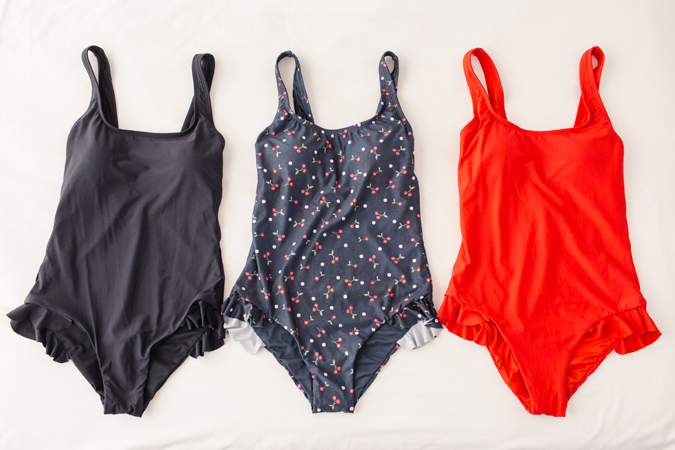 Which swimsuit trend is your favorite?